LeVeL33 Brews Its Latest Dining Menu – Where Craft and Tradition Meet! 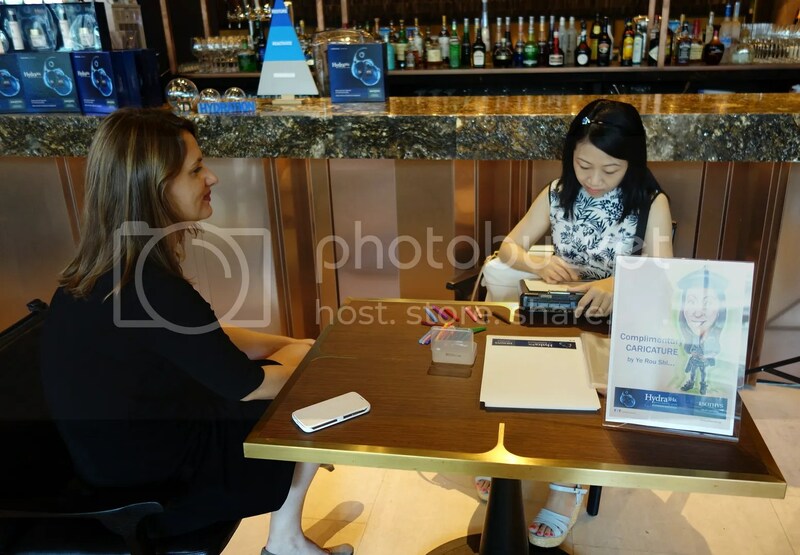 Recently, i was invited for an unforgettable media tasting experience at LeVeL33. Brought the husband along to the world’s highest urban craft-brewery featuring stunning views of Marina Bay and city skyline. Thank you LeVeL33 for extending the invite to him! :). Residing in the penthouse of Marina Bay Financial Centre (MBFC), LeVeL33 is the epitome of urban penthouse dining. When you enter MBFC, head to tower 1 and you can easily locate the elevator that will bring you straight to the restaurant at the 33th floor. The doors open directly into the restaurant where you will be greeted by smile of the service crews and the smell of brewing beer. While walking in, the beautiful copper kettles and silver beer vats serve as a reminder of the freshly brewed beer that flows out of the heart of LeVeL33. Contemporary design is evoked with the use of wood textures and earth tones; the wonderfully integrated interiors of the craft-brewery reconcile aesthetics, form and functionality in this elevated space. LeVeL33’s craft brews of European heritage are a testimony to craft brewing that is original, innovative and relevant to today’s upmarket beer-drinking community. The appreciation of authenticity and originality in beer tradition in a contemporary presentation is the foundation of its craft brewery. The 33.1 Blond Lager, 33.15 India Pale Ale, 33.3 Stout, 33.4 House Porter and 33.9 Wheat Beer are brewed based on heritage recipes applying state-of-the-art technology by SALM & Co Gmbh, one of Europe’s oldest manufacturer of breweries. Tradition meets technology at LeVeL33! Seasonal beers are crafted quarterly and available until the top runs dry, all true to authentic recipes and brewing methods. Presenting the spectacular view of the heart of Singapore from LeVeL33! We were blessed to be able to catch the sunset and the changing color of the sky and building. Besides the in-house freshly brewed beers, LeVeL33’s food is not to be missed. Its menu features a modern interpretation of European classics with a twist. LeVeL33’s Kitchen is managed by Executive Chef James “Jimi” Tegerdine, who brings with him international experience from leading restaurants, both old world and contemporary. Executive Chef Jimi Tegerdine has recently created the perfect synergy between the Art of Brewing and Cuisine. LeVeL33’s latest dining menu is wholly inspired by craft beers and the carefully calibrated brewing process at LeVeL33 by resident brewmaster Gabriel Garcia’s technical manual. Chef Jimi Tegerdine has presented dishes that go back to the heart of the LeVeL33’s DNA – its love for great craft beers, its respect for the team’s commitment to each brewing process and producing a selection of dishes that elevates the drinking experience. Kickstart the evening with the Beer Tasting Paddle ($23.33) which consists of 0.1L taster of five craft beers – Blond Lager, India Pale Ale, Stout, Seasonal beer (for now is Session Pale Ale), Wheat Beer . Blond Lager is crafted from the original 1841 Vienna Blond Lager. This is my personal favorite as i love its refreshing smooth taste with slight hint of fruitiness. Stout is a rediscovery of the original Irish stout crafted using the authentic brewing principles from Ireland, the full-bodied 33.3 Stout is flavorful and silky with a sweet roasty aftertaste. Wheat Beer is known as Weissbier or Weizenbier, this golden beer has been brewed in Bavaria since the 16th century. Using malted wheat and special strains of top fermenting yeast, the 33.9 Wheat Beer is rich in flavor with hints of banana. This is my husband’s favorite pick because he likes the refreshing taste with a good balance in terms of bitterness, without being sweet. I’m always looking forward to having bread with a generous amount of butter before the start of every meal. The Sour Dough And Rye bread served at LeVeL33 did not disappoint! It was served warm and fresh~ Chef Jimi told us that he personally sourced for a bakery which prepares the bread from scratch and the whole process takes about 48 hours! It is so good (moist, dense, and chewy) that i devoured it within minutes. In the latest menu, the starters are perfectly balanced to complement the main courses, the selection of starters are deliberately kept simple in the new menu. Each one, however, boasts a hint of beer element – either through the use of raw ingredients such as malt or the brewing process itself. First up, there’s the Japanese Deep-Sea Crab ($28) which features butter-poached legs & claw, corn in textures, lime gel and curry leaf oil. Japanese Deep-Sea Crab, considered a delicacy is being served for the first time and it is best paired with the Blond Lager . The crab legs and claw are lightly poached in butter and served with variations of corn – charred corn, sprinkle of popped-corn and even corn cannelloni molded into shape using a brewing tube! Taking inspiration from the brewery, the kitchen finishes the dishes with a scattering of curry leaf infused oil and drops of lime-gel add acidity to this innovative dish. The crab legs tasted extremely fresh and sweet due to the use of tangy lime-gel. Although i’m not a seafood person, i’m enjoying every small details of this dish. My husband loves the Pig & Snail dish ($23.50) which consists of Pork belly, French escargot, celeriac purée, buckwheat soil, white balsamic. A firm favourite from day one, the Pig & Snail has gone through its most exciting reincarnation yet. Fresh french escargot is accompanied by a beautiful pork belly which is tantalizing soft completed with crisp crackling skin. Slow cooked for 12 hours, the juicy chunk falls apart with the slightest touch. The dish is served on a bed of celeriac purée and topped with buckwheat soil and white balsamic. Personally we felt the pairing of the roast pork with the escargot provides an interesting contrast between the firm and moist pork and the chewy texture of the escargot. The accompanying puree completes the taste of the dish as a whole. It actually tones down the heaviness of pork belly and cleanse our palate for the next dish. Now moving to the mains! Was excited to see Kangaroo on the menu as we have always been wanting to try it. People who have tried it said that the meat is on the tough side but Chef Jimi told us we won’t regret ordering it since this is their popular main. The retained Kangaroo ($37.00) proves its popularity with LeVeL33’s diners. For this new menu, the Kangaroo loin is first sous-vide then chargrilled, imparting a wonderful smoky flavour. Shards of beetroot leather on top of the meat adds a great texture. Drops of beetroot vinaigrette and purée together with the buttery turnip purée complete this beautifully coloured dish. The Kangaroo loin is done medium rare and that’s highly recommended by the chef. I felt that the Kangaroo resembles beef in texture and taste. I’m impressed that the loin remains very soft, juicy and tender. Because it is chargrilled, there’s a nice smoky taste that adds on to the awesomeness. I have to say that LeVeL33 is really good at creating tasty puree and sauce that complements each dish so perfectly. I’m not a big fan of Lamb because i dislike the gamey taste. However, LeVeL33’s Welsh Lamb ($40.50) changed my perspective and even made me take an extra serving. Like the Kangroo, it is cooked the Sous-vide way that utilizes precise temperature control to achieve better consistency and taste. The Welsh Lamb is moist, juicy and tender without any gamey taste. The combination of parsnip purée, dark chocolate, stout caviar and roast chicken jus brings a subtle sweet and savory taste that further enhance the taste of the lamb. I was so full from the beer, starters, side and mains but one cannot leave LeVeL33 without trying their desserts. A selection of desserts has been crafted in the kitchen for the new menu. A must-try is the Cereal ($13.50)– a delicious combination of blended macadamia, beer malt praline, spiced dried apricot, creamy almond milk mousse and a dollop of lemon curd – absolutely. Don’t ever underestimate this bowl of Cereal as we finished it all within a few minutes. The nutty, sweet and tangy taste mixed so well together and made our bellies happy! Sweet stickiness (sticky in your hands but not in your mouth) with the malted cream offering a fuller shape to the tastebuds best descibes LeVeL33’s Mess ($14.50). Fancy a dessert that features Meringue, pickled blueberry compote, stout & blueberry curd, malted cream? Look no further. One word to discuss Strawberry ($15.00)– Sticky! This dessert is made with fresh strawberries o achieve the gorgeous pink hue in the bouillon, the syrupy base for this vivid dessert. Fragments of homemade meringue and a scoop of fresh sorrel ice cream create the perfect harmony of sweet and sour. Don’t say that i never warn you, the thin layer of transparent sweet that came with the dessert is extremely sticky. One of the popular vegetarian dish is the Onion Consommé which has a delicate mix of rich flavours perfected after hours of brewing and the perfect blend of caramelised brown onions and shallots. A vegetarian broth will be poured into a concoction of scallion oil, scallion ribbons, and torched onions at the table for the guests to savour the smoky taste. Freshly cut raw scallion fills the room with distinctly sharp fragrance and at the same time adds a lovely texture to the consommé. Tried the Butternut Squash and it is roasted with pumpkin seed oil to perfection. Texture is not too firm with the right amount of softness. There’s a lovely sweet taste which taste Blike a mixture of Sweet Potato and Pumpkin but has a softer texture. The sauce that came with the Squash bring the taste to another level. The Sautéed Spinach is topped with kombu sour cream and Saganaki cheese. As a result, the spinach will be more flavourful and creamy. My husband loves it but i find it a little salty for my liking. Overall, i will highly recommended LeVeL33 for its fantastic value for money food, delicious beer and top-notch service. It is a must to try its in-house brewed beers as they complement the food perfectly. Will never forget the extraordinary Marina Bay and city skyline and it was such great and relaxing experience to see the sunset and the lights come on. Both my husband and myself loves everything at LeVeL33 and we will be back together with friends and colleagues. Seating for the new à la carte dinner menu starts daily from 6pm. Last order is at 9.30pm from Sundays to Thursday and 10.30pm for Fridays and Saturdays. LeVeL 33 is located at 8 Marina Boulevard #33-01 Marina Bay Financial Centre Tower 1 Singapore 018981. Themed ‘a New Era of Beauty‘, the beauty trade gateway event is presented as an emporium showcase where brands will showcase their latest hero products. The event also highlights a mini-series of panel discussions to present insights to Taiwan’s latest beauty trends and developments. 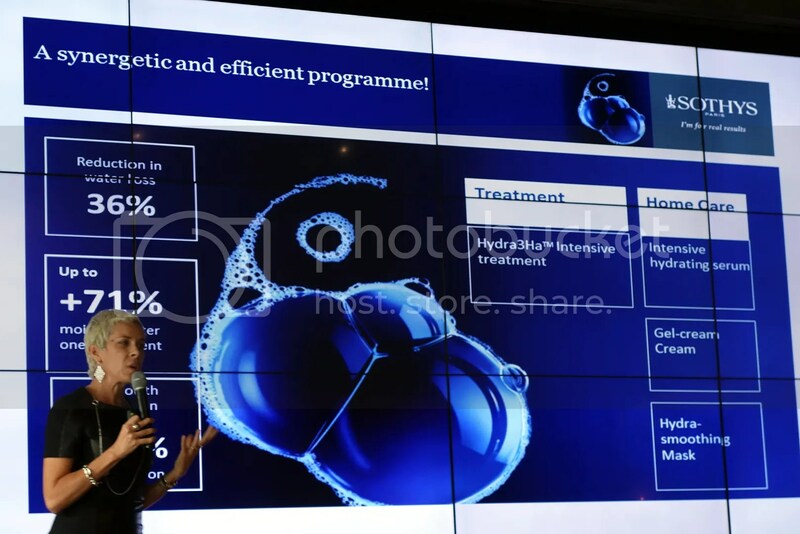 They will focus on three main topics: Bio-technology Innovations for Anti-Aging, Fashion Forward Beauty and Consumer Trends, and Botanical Beauty. Taitra set up the Taiwan Beauty Alliance to boost the personal and cosmetics industry. Taiwan’s beauty industry represents one of the most dynamic examples of a continuing quest to breakdown boundaries, to challenge and to generate new ideas. Taitra is excited to present this platform to share the excitement of Taiwanese brands with friends from around the region. In 1986, Mr. Shi found two bottles of luffa water from wife’s. Although wife’s mother was 80 years old at that time, she still had smooth skin. With valued and thankful heart, Mr. Shi wanted to produce skin care products with Taiwanese nature herb plant, enlightened water. ”Nature Insistence, Friendly Brand” and made in Taiwan are always the belief of KYL. When products are gradually acknowledged by customers, it will help KYL to take an important position in domestic and foreign market. In order to provide customers with better products, KYL invested a lot in R&D to elevate production technique. Today it’s been proved that KYL not only can produce natural products but also make elegant skin care products. This is not only the promise to customers but the insistence of elevation of KYL brand value. Recently, KYL developed many kinds of series of products, and exported to Southeast Asia, China and other overseas markets. Its professional R&D team is continuing to develop other creative product series, such as aloe, cucumber, rose and green tea and strictly select and extract from many good local quality botanical essence. The brand also insist on manufacturing natural and clean skin care products in Taiwan. The Luffa Cucumber Water Soothing Moisturizing Spray Mist contains Luffa Extract (Sponge Cucumber). Luffa extract is a gift from the nature to all women well-known in Taiwanese tradition. Luffa extract acts as a natural skin moisturizer to soften and refresh skin. Luffa Cucumber Water Soothing Moisturizing Spray Mist moisturizes dry skin instantly through natural and rich supplemental cucumber extracts and soothes sensitive skin through a weak acid based mist that restores unbalanced pH level. It can be used as a toner or before applying make up to retain moisture. I’m using the Luffa Cucumber Water Soothing Moisturizing Spray Mist as a toner and i love how refreshing my skin felt during use. There’s no distinctive fragrance and good for people who prefer their products to be fragrance-free. It is gentle on my skin and my skin felt light and soft after use. Cleaning Gel: help to remove traces of impurities on skin. Facial Gel Mask: light, gel-type mask. Help to relieve the uncomfortable feeling of dry, tight, and harsh skin. Restore the skin’s optimum moisture level. It smooths out the appearance of fine lines caused by dehydration and leaves the skin feeling soft and supple. Kuan Yuan Lian Green Bean Cleanser can be used for facial wash, mask or scrub. It can be used when showering as well. It thoroughly removes dirt, cuticle and sebum, leaving skin clean, soft and healthy with the nutrient of green beans. The Green Bean Cleanser can be used as a facial wash or mask. Facial wash: Lather the powder with water and massage it over face for around 1 minute. Rinse off with lukewarm water. Then, rinse with cold water to tighten pores. Mask: Lather the powder with water and apply it over face. Wait for 10-15 minutes. Rinse with water. Have always wanted to try powder form Green Bean Cleanser as i will always see them in Taiwan’s Watsons / Beauty Stores. Kuan Yuan Lian Green Bean Cleanser is made of pure green bean and you can either use it as a facial cleaner or mask~ Love how it is packed into small sachet for single use. Personally, i am using it as a mask by adding small amount of Luffa Spray for an extra refreshing touch. The mask will help to deep cleanse and remove oil from your pores. It also helps to remove dead skin cell and leave behind soft skin. It doesn’t cause any discomfort to my skin during usage but the mask don’t smell pleasant (smells like raw bean sprout. After leaving it on for 5-10 mins, i will wash it off with warm water. Immediately, skin looks cleaner and brighter! It is also softer to the touch. ‘TSAIO’ in its original language means ‘finding herbs and natural spirits in the mountain.’ . TSAIO focused on the “plant regeneration ability” and hoped to give herbal skin care products more profound significance values. TSAIO’s natural skin care products consists of wide ranges of everyday use products from head to toe, pursuits high-level quality of complexion by working with global R&D partners in Japan and the EU over 40 years. TSAIO develops excellent quality products with affordable prices. TSAIO is known as “the natural skin care expert”. Brand value comes from the concept that no matter how serious the catastrophe, after the catastrophe, plants still able to rebirth strongly. TSAIO takes the “plant regeneration ability” to give herbal and organic skin car e products more profound significance values. points in Taiwan. TSAIO is the only major Taiwan skin care brand use in 5 stars hotels. I have brought this Travel Kit from TSAIO for my recent trip to Chiang Mai which consists of Camellia Nourishing Shampoo, Scutellaria Firming Body Wash, Chamomilla Facial Wash Foam and Sweet Orange Moisturizing Mask. Personal favorite will be the Chamomilla Facial Wash Foam as it smells like Chamomile – soothing and refreshing. It works into a rich lather and cleanse well without stripping away too much moisture. After washing it off, skin felt clean and there’s no tight sensation. I have sensitive dehydrated skin and this works well in removing residues yet stays gentle on my sensitive skin. Every women dream about owning their own furry coat, but they don’t realize they already have one in possession. Like the feathers of a swan, hair is women’s most natural and priceless piece of fur coat. Why do women like fur coats? Simply because it represents style, noble, elegant, extravagant and full of femininity. A piece of precious fur coat, its texture must be smooth, light and bright. SH-RD Haircare series is made to fulfill every woman’s dream of owning a furry coat simply by having a Light as a Feather hair. SH-RD will allow you to own your own unique piece of pure and feather-like light and smooth hair just like swan’s beautiful feather. hairdressers and consumers, assisting them in creating beautiful works of art. As a global beauty corporation with its own R&D Laboratory, Shaan Hong offer a wide selection of high quality luxury hair products, all proudly Made in Taiwan. From product development to customer service, its goal is to provide all our customers with a unified and satisfaction guaranteed experience. Its star product, SH-RD Protein Cream (for hair) is found inside my beauty bag. SH-RD Repair Series is designed for those lifeless hair caused by over-processed environment factors. SH-RD is a series of products that addresses hair that has been damaged by environmental factors, daily life stresses and chemical services. This series of products help provide nutrients to damaged shafts, repair damaged hair and restore lifeless hair back to health. Formulated with special ingredients, Rosemary (Anti-bacterial, accelerates blood circulation, normalizing effect on metabolism) and D- Panthenol (Vitamin B5 Complex, Repairs & Re-conditions scalp and hair), they help to accelerate blood circulation, anti-bacterial, repair and condition scalp and hair. SH-RD Protein Cream contains the unique combination of Rosemary, D-Panthenol and Silk Protein complex which helps to repair, moisturize and give protected shield. With this unique combination, it helps to block UV rays and environmental damages, which helps to lock in hydration. This instant leave in treatment protects hair from chlorine during swimming as well as promote healthy, shiny, soft and bouncy hair. SH-RD Protein Cream has a gel texture and it has a pleasant floral scent. Just a small 5 cent coin amount is enough to treat my dry hair. As i have bleached my hair a few months back, my hair is on the extremely dry side. After using the SH-RD Protein Cream, dry ends become healthier looking and i can comb thru my hair easily. Hair also became tamer so i don’t have to tie it up. If you are looking for a non-greasy hair treatment product, i will highly recommend the SH-RD Protein Cream. A “Safe, Secure & Effective” philosophy is the brand concept that Dr. Jou Biotech Corp. strongly believes. The brand develops new products every year and continues to gain popularity internationally, reaching out to Hong Kong, China, Macao, Singapore, and Malaysia. The brand is becoming one of the leading brands overseas and on the must-buy list for travelers visiting Taiwan, and which is available in retail stores in 4 of the main South-East Asian Markets at the moment, Singapore, Malaysia, Cambodia and the Philippines. Dr. Jou Biotech Corp. budded in Taiwan and is now blooming throughout Asia. The 82-year-old brand has a core value of trust, which has been passed down from the “Changhua Old Street” legacy. Merging with a new and evolved management team from the 3rd generation dedicated to making “Safe, Secure & Effective” medical grade skin care the key corporate concept. Dr. Jou Biotech Corp.’s goal is to become “Asia’s Mask Expert”, helping consumers become more confident and beautiful with the use of Dr. Jou’s masks. Popular products include Dr.Morita medical facial mask and Dr. Jou Skincare products. 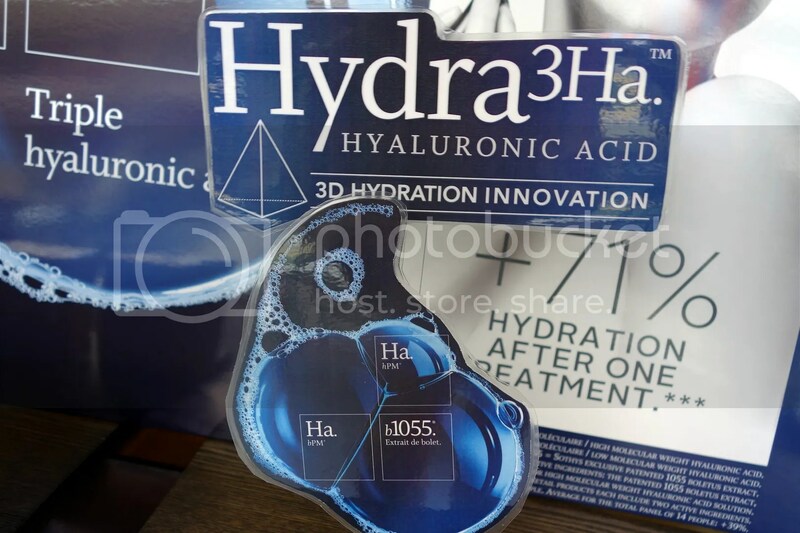 The brand has recently launched a globally innovative Hyaluronic acid facial mask. It was developed by the research and development team led by Dr. Jou Chun-Hsu. After one year and half of effort, the new series of products has been successfully created. The Six Essence Hyaluronic Acid Hydra Mask Sheet has the greatest feature of infusing six Japan-made superior Hyaluronic acid ingredients into the essence. Furthermore, through the hydra introduction by unique facial sheets, skin problems such as rough skin or wrinkles etc. caused by over dehydration will be eliminated, for a moisturized, hydrated and radiant effect. 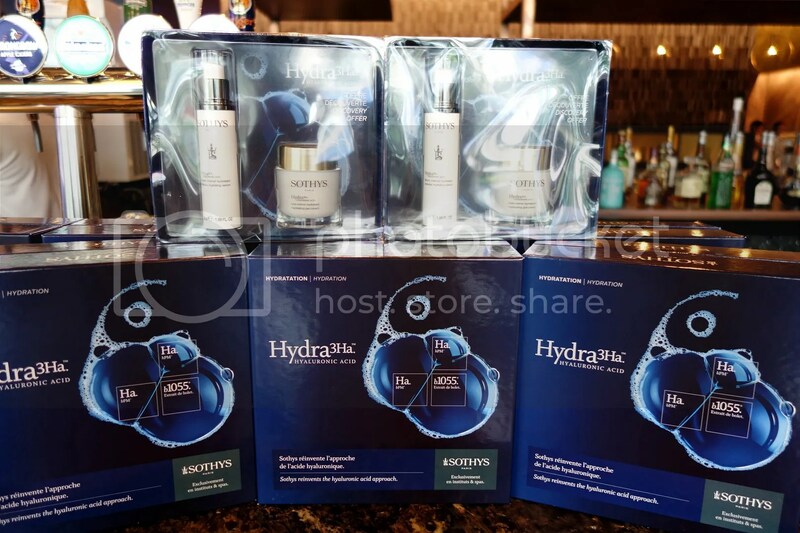 Two weeks after the launch of the product, the “Dr.Jou Six Essence Hyaluronic Acid Hydra Mask Sheet” won good reviews during product trials on Japan’s largest website for Beauty Product Information: “@cosme.” Not long ago, the DR.JOU Six Essence Hyaluronic Acid Hydra Mask Sheet was granted the Silver Quality Award during the 2017 Monde Selection, a leading European evaluation award. 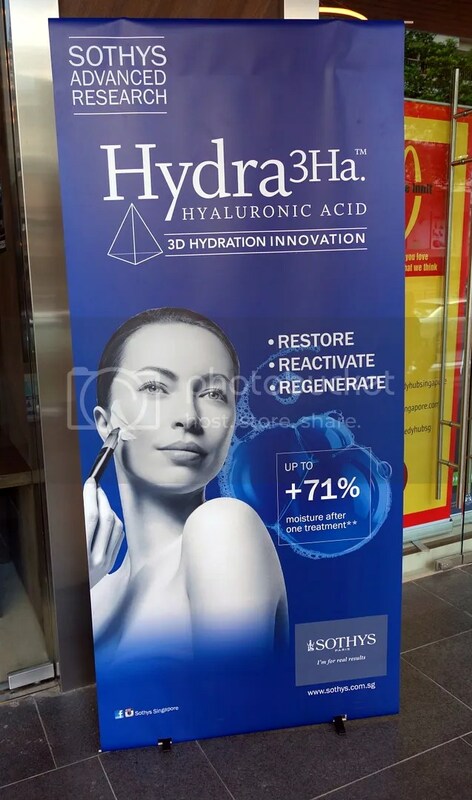 The new product this year, the Six Essence Hyaluronic Acid Hydra Mask Sheet has been innovatively formulated considering regional climate, culture and customs in order to create the best essence for the Southeast Asian skin types and for winning beauty lovers’ hearts in Southeast Asia. Dr Morita Hyaluronic Acid Essence Mask contains Hyaluronic Acid, cucumber extract, Ceramide, Marine Collagen, Licorice, Seaweed and other natural composite moisturizing ingredients. It aids in ensuring all-day hydration and effectively smoothes out fine lines while preventing skin aging. 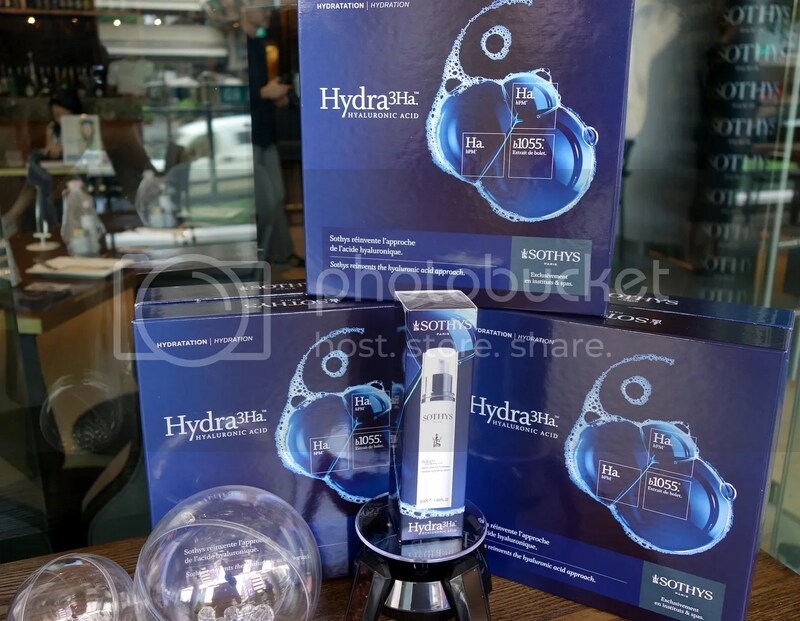 The Hyaluronic Acid Essence Mask is soaked with essence and the cotton sheet of the mask is strong and sturdy. There’s a plastic piece on the other side which aids me in the mask application. The mask is able to adhere to my skin well so absorbent of serum can be maximized. Mask has no fragrance which might irritate skin and not much stinging / hot sensation during mask application. Upon removal of mask, it doesn’t leave my skin red but instead it looks brighter and more dewy. There’s no need to rinse your face the mask does not leave sticky aftermath. I can apply my moisturizer next! The next day, i woke up to well hydrated , radiant and calmer skin. With the concept of “precision making of the brush” Lam Sam Yick, a Taiwanese writing brush maker for more than a century, has successfully opened up a new market for handmade brushes with the brand“LSY professional cosmetics brushes. Made with only the finest hair, this craft of perfection has been made the top choice makeup tool among makeup artists and stylists, and on the internet, attracted much media attention as well as caused a shopping frenzy. Hero products include Clean Face Brush, Face Mask Brush, Clean-Acne Brush. I was gifted with the Lam Sam Yick Clean Acne Bye Bye Brush for review and this specially designed two-layer brush has a mix of different diameters in the inner and outer layers. With the inner layer bristles smaller than your pores made of 0.07 mm, it is able to penetrate deep into the pores where the underlying dirt are. While the 0.10 mm outer bristles are responsible for loosening the blackheads/whiteheads and acnes, accelerates the acne health and boosts metabolism time. LSY Clean Acne Brush is made of Synthetic Fibers where bristles will not break. Designed with a softer-touch exterior and a harder-touch interior bristles. Pauline Lan mentioned in a Taiwan Beauty Show that she was able to remove her blackhead which was located near her bust for 10 years. Only after using LSY Clean Acne Brush, her 10 years trouble was eliminated with this brush! You can check out the video below. It is recommended to use the LSY Clean Acne Brush together with your cleanser. After lathering your facial foam and spreading it on your face, wet the brush with water and work it on your nose, cheeks and chin in a circular motion for 30 seconds. Focus on problem areas and remember not to exert too much force while using it. The brush can be used daily and once done, rinse face with water and then follow-up with toner to close pores. It is also important to clean your brush correctly to prolong the life span. Just place it under running water and then dap excess water from brush bristles before airing dry. Do not soak the brush in water. I am always bothered with my strawberry nose full of white / black heads. Normally it can only be removed fully during facial. However the Clean Acne Brush is able to keep my pores on my nose clean with just one application! It is very simple to use, use it when you have applied facial foam on your skin and just move the brush in a circular motion for 30 seconds. The bristles feel very soft so you need not worry about it being harsh. The first time i used it, i am amazed to see most of the black / whiteheads on my nose gone! I kid you not! Gold NanoTech Inc. (GNT) is the only company in the world researching and manufacturing medical metals to such high specifications and standards. In the field of medical research, their products regarding medical applications of metals are widely adopted by government-owned agencies. All products containing nanometals manufactured from GNT are authorized to use its “Nautilus logo” and “GNT Gold” brand name so as to verify their high specification and distinguish them from counterfeits. VitaGold is Gold Nanotech’s beauty care brand utilizing PVD-processed pharmaceutical-grade GNT Gold nano-particles. This brand passed skin irritation and sensitivity testing conducted by the North American Science Association (NAMSA). Suitable for all skin types, the energy of metallic elements give users healthy skin cells and a glowing complexion. Addition of gold to skin care products can be dated back to the Ming Dynasty. In the Compendium of Materia Medica, the function of gold in beauty care is described as follows: “Ingestion of gold can calm the nerves, enhance beauty, promote circulation and strengthen the body”. Topical uses of gold are also documented. One is for eye treatment in which a gold ring is heated red and then swept across the upper and lower face several times a day. Another is for treating toothache in which a gold needle is heated and placed onto the tooth and can stop the pain immediately. In Japan’s Edo period (1600-1867), addition of gold leaves to cosmetics was described in the book of Supplementary Jade Wisdom. A gold containing cosmetic white powder which can brighten skin tone, eliminate acne and prevent aging was introduced. Tair Jiuh Enterprise was founded in 1982. As the time passed, TJ Group had accumulated the experiences in the cosmetic area globally. TJ Group has the integrated system for production, supply and marketing, and because of the fully integrated system which has made TJ Group a very competitive position in the field. Thought the years, Tair Jiuh produced thousands of cosmetic products for OEM/ODM customers. In recent 10 years, Tair Jiuh started promoting its own brand City Color all over the world. The main purpose of creating City Color is because Tair Jiuh believe “when women are willing to change, the world will become better.” Tair Jiuh’s committment is to offer premier quality, affordably priced cosmetics to consumers. Tair Jiuh aims to provide both professionals and newcomers with the tools necessary to develop and perfect their knowledge and experience with cosmetics. Tair Jiuh’s vision is to be the most accessible brand of make-up in the world. City Color is a full range beauty brand committed to offer premier quality products without high prices. Inspired by the lifestyle and energy of a global metropolis, City Color brings finely produced formulas, highly pigmented shades, and on-trend collections while always maintaining pocket friendly prices. City Color’s mission is to equip everyone with professional quality makeup. City Color has gifted me with the Contour Palette which is one of its best-selling contour product! Achieve an ultra defined and sculpted look with Contour Palette. Contour Palette consists of true matte contour and bronzer shades which works with all skin tones and blend to a seamless shadow. There’s also a shimmer highlight which adds a glowing radiance and lift up cheekbones. This velvety smooth formula is a pressed fine powder that allows for light application with serious color payoff. My Beauty Diary was born in 2003. It has shaken the whole skin care market with the launching of a wide variety of facial masks with excellent ingredients and bargain prices. It has soon become Taiwan’s leading facial mask brand. My Beauty Diary has successfully marketed its products to 13 overseas countries and regions across North America, Europe, and Asia. Since its foundation in 2003, the brand has not only become widely accepted by consumers in Japan, Korea, and Greater China, but its exceptional quality and product safety has helped the brand reap numerous beauty awards and rave reviews from consumers. The brand sells more than 2.5 billion sheets of masks in a year, offering consumers a great variety of sheet mask choices and skincare at reasonable prices. My Beauty Diary is every young woman’s trusted friend and companion looking after her skin, helping her grow to become more beautiful and confident day-by-day. My Beauty Diary has just revamped its popular Natural Key Line range of masks! Originating from Taiwan and a pioneer in the facial mask industry, My Beauty Diary is continually seeking improvements in their mask formulas and has done so again this time round. Introducing the industry’s first 5-minute mask that efficiently and effectively delivers moisture replenishment and continuous hydration to the skin. With its advanced triple-action formula featuring an all new deep penetrating serum ingredient – Tinysome, it only takes 6 seconds for the serum containing all the intense moisturizing ingredients to penetrate the skin’s epidermis. Now you can feel the same moisturizing results in just 5 minutes! Building on the foundation of its high-performing mask serums, My Beauty Diary’s R&D team has found a revolutionary breakthrough formula for its serum. The upgraded Natural Key Line Series features two new serum types. My Beauty Diary masks are free of harmful paraben preservatives, alcohol, mineral oils, colouring agents and fluorescent agents, and are safe for use on all skin types including sensitive skin. My Beauty Diary is a must buy Mask brand i have to get whenever i am in Taiwan (PS, it is cheaper there!). My husband has tried the Black Pearl Brightening Mask which is formulated with black pearl extracts that’s rich in vitamins, minerals and amino acids. Extracted from black pearls grown in the ultra-clear and clean seas of Tahiti through hydrolyzation, the mask will rapidly nourishes and hydrates dull and tired skin, revitalizing skin to a youthful and bright condition. As a result, skin appears clear and bright, with a refined and delicate texture for a lasting, flawless beautiful look. The mask comes with a plastic sheet which allows my husband to apply it easily on his face without the need to seek help from me. The mask is well-soaked with essence too. The material of the mask is also strong and it contours around his face well. Upon application, he said that it is cooling and refreshing. After removal, his skin tone became brighter and there’s no sticky residue left behind. Lab101 is a professional medical skin care brand from Taiwan which commits to create simple, scientific, effective formula in a full range of products for delivering the views of ideal skin. – To address our core value: based on dermatology, our products are formulated with high-efficiency and safety by professional, scientific demonstration. – Be a skin care brand which is as famous as Taipei 101, a landmark skyscraper of Taiwan. Bought the Lab 101 Travel Kit to Chiang Mai and gave the Bio Brillance Radiance Fluid a try! Bio Brillance Radiance Fluid helps strengthen skin’s natural moisture barrier and reduce the appearance of dark spots. Made to treat spot, dull skin and uneven skin tone, Bio Brillance Radiance Fluid will improve skin’s texture, skin tone and radiance. ● Mild exfoliation with DermalRx® SRC to stimulate skin renewal, actively refine and restore skin texture and radiance. ● AA-2G promotes collagen synthesis, inhibits melanin production and fades existing melanin to brighten skin. ● Tranexamic Acid helps reduce the activity of tyrosinase, improve the look of dark spots and prevent skin from UV damage. The Bio Brillance Radiance Fluid has a light gel texture and it gives off a faint floral scent. It gets absorbed into my skin quickly without any heavy / greasy feeling left behind. After application, skin felt softer to the touch and it appears to be brighter! It is suitable for sensitive skin like mine as it does not cause any stinging sensation or redness after application. Miho International Cosmetics Co., Ltd started with E-SHOP and has 19 retail stores “ 86Shop” in Taiwan currently.Through data analysis of our own sale channels, Miho can easily track the consumer needs and develop products matching with the market trends. Therefore, Miho developed various private brands, including the cosmetic brand- Miss Hana. Miss Hana’s goal is providing the outstanding quality, affordable price and the trendy cosmetics for young women. All the top quality, long-lasting and smudge-proof cosmetic products are made in Taiwan. Inspired by the wedding vision that every girl has in mind, Miss Hana was created as a perfect, elegant and intellectual brand to arouse a girl’s desire for romantic love. With the brand concept revolving around “name brand level quality, modest luxury, new fashion leader”, Miss Hana aims to provide “Made In Taiwan” beauty products which is transfer-proof, pigmented and smudge-proof with name brand quality at affordable prices for young females. with the mission to “beautify women throughout, from head to toe, and from inside out”. and dedicated to research and development. The company is proud of completing the entire production process from research, development, product testing also quality control to packaging in Taiwan. Arwin has the most diversity product catalogue as well as the advanced integrate laboratory. It established a dust free GMP plant with steady temperature and humidity to manufacture the products with special functions. Sweet Rose Perfumed Soap – Cleans, lightens, brightens skin. The scent of white sea rose mixed with a romantically sweet vanilla peach is like falling in deep love. Rose Rejuvenate Night Jelly Mask – Includes Vit B5 and Gold foil to effectively improve dry skin and intensive repair damage skin due to sun exposure. Rose Rejuvenate Cream – Increases skin’s absorption rate, allowing skin care products to be absorbed into the deepest layers of your skin. With its unique weak acid breathable base, mild not easy to stimulate. Rose hip extract smooths fine lines, and turning back the aging of your skin and restoring delicate skin. Rose Rejuvenate Essential Lotion – A light touch of rose fragrance brings back the radiant skin of youth. Smooths wrinkles, whitens, moisturizes, softens, and tightens skin all in one bottle! Vegetarian friendly. Have tried the Sweet Rose Perfumed Soap which will help to cleanse, lightens and brightens skin after use. Not a big fun of soap as it is not convenient to use and store as compared to shower foam / gel. However, the Rose mixed with light fruity scent smells good so i cannot resist trying it! There’s a net provided which helps to create a rice lather during use and you can hang it to air dry the soap after use. Hence, i am enjoying using the Sweet Rose Perfumed Soap as it is easy to use and foams up so easily~ Moreover, the soap will not turn mushy due to the net which you can hang to allow the soap to air dry~ The soap does a good job in cleansing the skin on my body. It is not drying and after rinsing if off, my skin became smoother and brighter! famous and publicly recognized beauty media such as, Fashionguide, UrCosme and Best of the Best Beauty. Solone products were also recommended by a Taiwan popular variety show, Lady First, whose quests are mainly celebrities. Solone Long-Lasting Perfect Brown Pencil – With natural and gentle color, which can help your eyebrow looks more natural and tri-dimensional. Easy to color and the self-rotated design makes it more convenient to use. Solone Vivid Fantasy Smoody Pencil (Eyeliner & Shadow) – Dual use as an eyeliner or eyeshadow (2in1) with Brilliant colour, totally water-proof and smudge-proof formula. Gel Like Smoody Pencil can be used as an eyeliner along with a smudging option for a less defined look. The Swivel type design makes it very convenient to use as there’s no need for hard-sharpening. Solone Perfect Drawing Eyeliner – The built-in Swarovski crystal will add on shining glamour and elegance. With its 10 sec speedy dry easy to apply formula, it will help users achieve a smooth and good color texture application. It is also water-proof and skin-oil resistant. Solone Fantasy Wonderland Eyeshadow Kit – A wonderful development on eyeshadow kit that comes with eight attractive colors featuring base, lid and liner shades to flatter all skin tones. From a soft matte to shimmer and metallic, you can work out 18 different variety of looks. The kit also comes with 1 double ended sponge applicator. It is so easy to get standout eyes thanks to Solone’s new eyeshadow kit with the highly pigmented colors with sophisticated shimmer, blends easily with soft texture. Will be doing a comparison between the Solone Magic Liquid Eyeliner and Solone Perfect Drawing Eyeliner. Perfect Drawing Eyeliner (On the left) is in pencil form and Magic Liquid Eyeliner comes with a fine felt tip to dispense the liquid liner. For beginners, i will recommend the use of the Perfect Drawing Eyeliner because it is much easier to use and control. Solone Magic Liquid Eyeliner has a board base so it is good for people who loves their lines to be thick (Like me!).. Solone Perfect Drawing Eyeliner will be good to create fine and define lines. Color turnout wise, both are as pigmented! Many consumers are nowadays more conscious of their skin requirements and personally i am glad for the emergence of many new Taiwanese cosmetic and skincare brands in recent years. Last Saturday, i’ve attended the Cook Out at Cairnhill (Organized by BBQ House & Scatter Media) event and i’m glad that i can now prepared Satay and BBQ Chicken Wings at the comfort of my home! Cook Out At Cairnhill is an event dedicated to showcasing the talents of social media influencers who have shared their life experiences and hobbies with the general public. This event features guest blogger, Diana Gale of The Dosmetics Goddness Wannable (a well-known blogger and winner of 2015 & 2014’s Singapore Blog Awards for Best Cooking Blog). 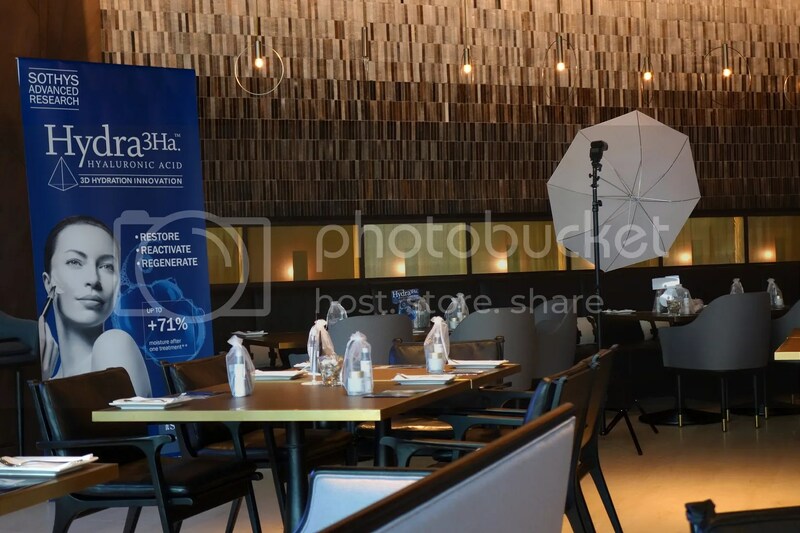 At the event, i was given the opportunity to try out food (kindly sponsored by BBQ House & prepared by Diana) and to mingle, bond and enjoy a unique culinary experience with other lifestyle bloggers. In line with the spirit of innovation and local heritage, BBQ house is the proud sponsor of Cook Out at Cairnhill, in a show of support to local creative culinary talents. Enjoying your BBQ in a dine in environment? Yes as it is made possible by BBQ House! BBQ House seeks to bring out the best of the outdoor grill into the dine-in experience. It is often difficult to control the quality of grilled meats during outdoor barbecues. Meats get charred, overcooked, under-cooked easily. Events outdoors while fun, tend also to require effort to organize and can also be hot, smokey and sweaty. BBQ House has solved this problem easily by introducing its pre-cooked meats like its chicken satay in a ready-to-eat package with 10 sticks of chicken satay and curry gravy. Besides chicken satay, BBQ House also offers pre-cooked beef and mutton satay as well as pre-cooked grilled chicken wings. One of the most popular products after BBQ House’s satay, is the BBQ Chicken wings ! Once again, preparing and grilling the chicken wings to a consistent standard requires skill and time. Good news is BBQ House’s pre-cooked wings take only 3 minutes in the microwave or 5 minutes at 250 degrees in the oven and is ready to serve, in the same delicious standard! I have high expectation for satay and the small pieces of meat on the skewer must firstly be moist, flavorful and tender! The dipping satay sauce must be of the right consistency and rich with peanut taste as well! I love my satay well coated with peanut sauce! I’m also a big fan of chicken wings! BBQ / Grilled ones in particular and i’m so glad that i can prepare it at home so easily! To be frank, i tried the wings with no expectations as i don’t expect it to taste as good since they are pre-packed wings. However, i was in for a surprise after i took the first bite. The BBQ marinate is done just right – flavorful and not too sweet. The meat is not dry and best of all, the wings are not oily… Since it is mid wings, it makes eating so much more pleasant… I’m certainly stocking up on more! At the Cook Out event, we were given the opportunity to witness Diana Gale in action and also taste some dishes that she had prepared for us. Diana has been featured in numerous magazines and online news portals. Her wide range of recipes features breakfasts, mains and lots more. Each recipe is fastidiously done with her audience in mind and i have to say that her passion for cooking and creative flair is respectable. Tasty and spicy, Chicken Curry is also the favorite for many. BBQ House has specially provided some insights on how this is done. The preparation of the curry includes the use of ginger, chopped garlic, and onions mixed together and put into the grinder. Next add the curry powder with water into a paste and together with the pounded mix, rub it into the chicken wings. This is then left for at least an hour before frying the chicken with some vegetable oil. Next curry paste is added further to thicken the curry, along with a moderate amount of coconut milk. BBQ House’s pre-cooked products are simple and easy to prepare yet delicious at the same time. The satay and chicken wings served perfectly supplemented the home cooked meal, balanced with a rice, soup and vegetable dish. With no more than 5 minutes to cook, this is a perfect addition to the busy working family. BBQ House ready-to-eat Satay Packs are now available online, selected stores islandwide and at the World Food Fair from 8-11 September @ Singapore Expo Hall 6. * Disclaimer: Products Description, information and photos are extracted from BBQ House and Scatter Media’s Presskit. Hello everyone!! 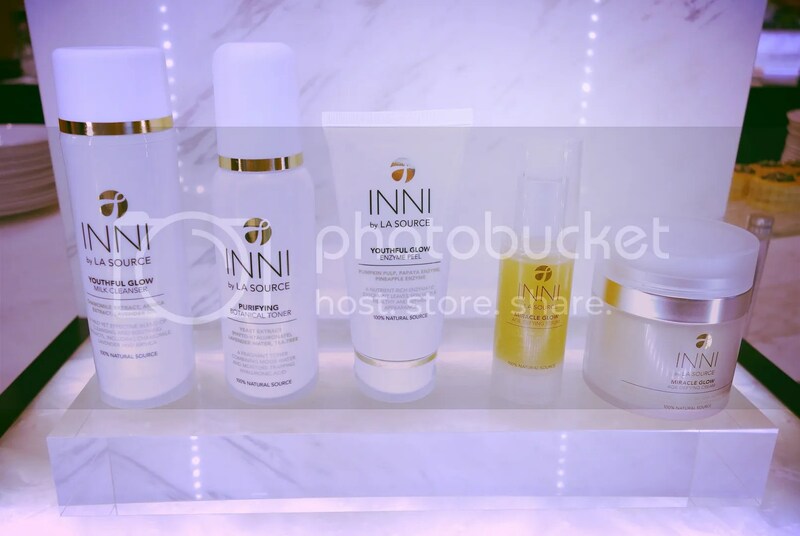 Took time off to attend the launch of INNI at La Source Spa last month and it was such an indulgent experience! 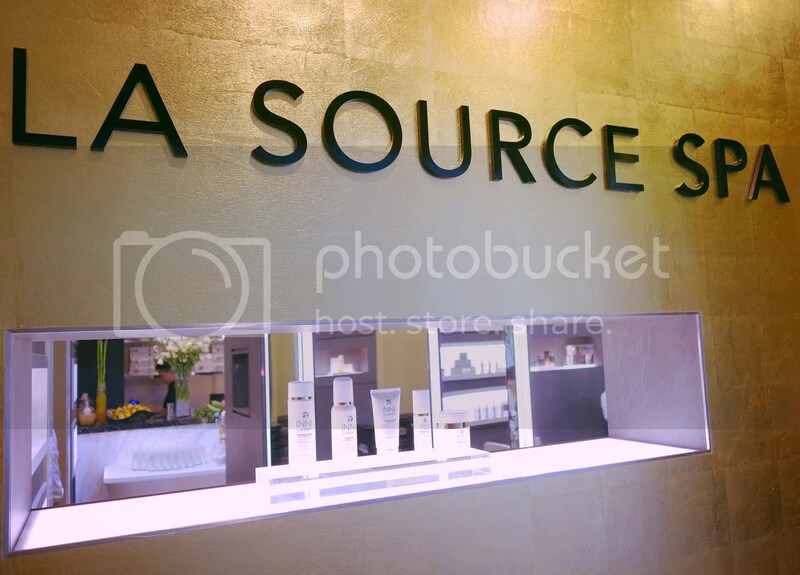 The award-winning La Source Spa, formerly known as LS Philosophy, is where one’s journey into holistic living begins. La Source Spa is Singapore’s award-winning luxury day spa and offers a true 360-degree approach to beauty and well-being. Specializing in pampering yet result driven face and body treatments, the spa features a range of spacious treatments suites, some with over-sized baths and steam rooms to enjoy. There’s also a fully equipped Hair Room provides a range of hair treatments and solutions to complete the experience. Once i stepped into La Source Spa, i was welcomed by a nice soothing scent and a calm tranquil environment with soft music playing in the background.. 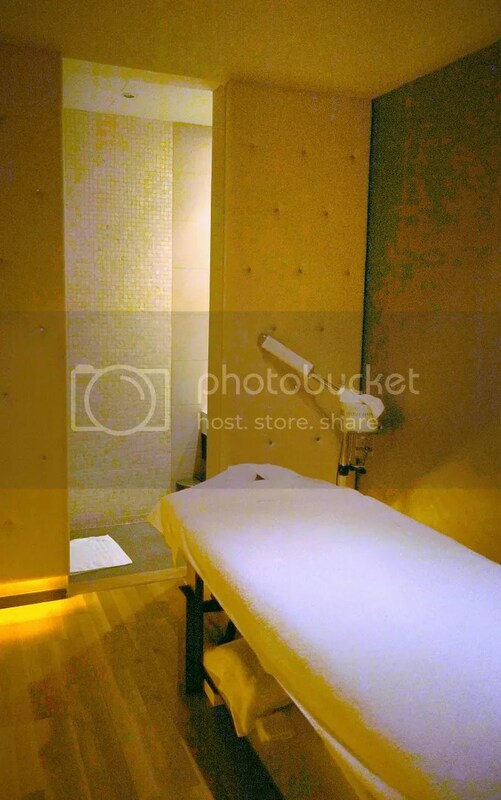 This is definitely the place that one should go to unwind and pamper yourself from top to toe! 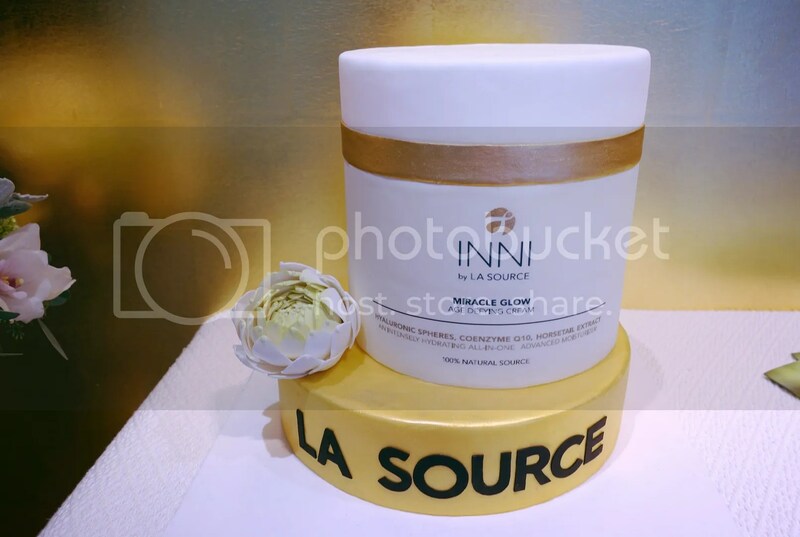 At the launch event, we were introduced to INNI by La Source which is La Source Spa’s debut of its own 100% natural skincare brand. 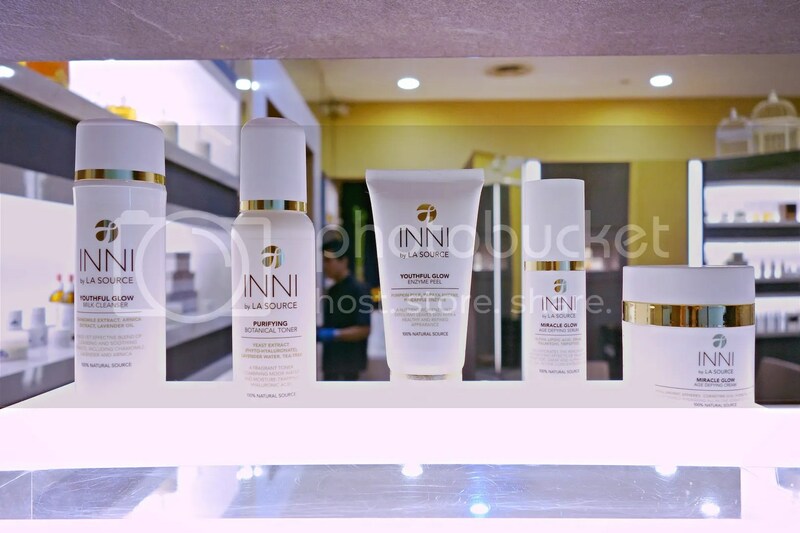 INNI, short for infinity was born out of its founder Jane Soon’s love for purity and wellness. Reflecting her belief in the importance of tracing back to the source, all the ingredients within the INNI line come from natural sources. Every product is made without the use of parabens, mineral oils, artificial colorants, perfumes or fillers, making it suitable for all skin types and highly effective. Each product harnesses the revitalizing and purifying properties of INNI’s signature ingredient, Austrian Heilmoor clay, a rare nutrient rich peat known for its therapeutic properties that offers amazing restorative and anti-aging benefits for the skin. Currently, there’s 4 different ranges which address four major skincare concerns: Whitening, Hydrating, Purifying and Anti-Aging. There’s also specialty products, blends and body range products to care for your skin and health. 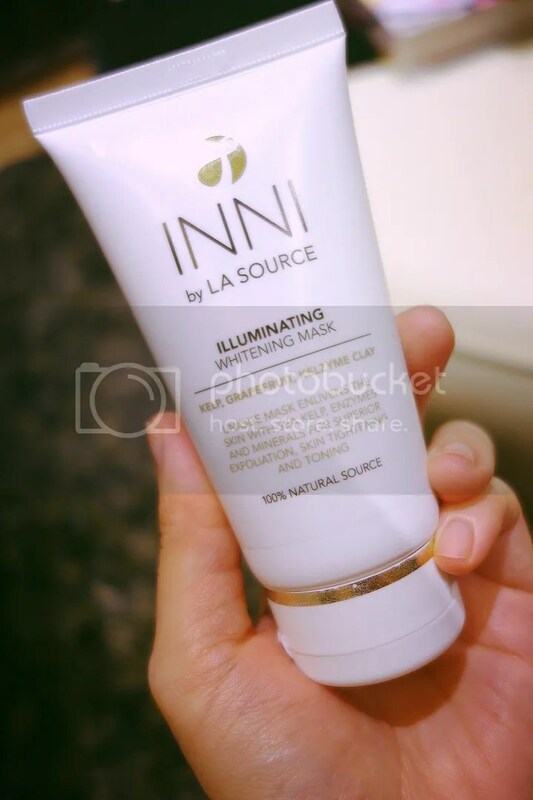 La Source Spa’s exclusive spa products ‘INNI’ are 100% natural and use only the finest plant-based ingredients. Will start off with the introduction of the Purifying Range. INNI Purifying Range serves to purify and balance skin by harnessing the antibacterial and stimulating properties of Tea-Tree Oil and Lavender Oil. It removes the toxins and bacteria that build up throughout the day, leaving skin feeling refreshed, supple and boasting a healthy, youthful glow. One item that i’m tempted to try will be the Youthful Glow Radiant Serum as this multi-action serum targets imperfections including hyperpigmentation, sunspots and acne scars. When applied to cleansed skin daily, the light-gel serum brightens and tightens the complexion leaving it with a radiant glow. Was told that this is suitable for acne-prone sensitive skin which is what i need as i cannot use whitening products for my post-acne marks as it is too harsh. Dehydrated Skin – The Root of All Evil (aka Skin Problems) so the INNI Hydrating Range is packed with active moisturising ingredients to help soothe and protect the skin while preventing further aging. Fast-acting extracts from Aloe Vera, Shea Butter and Vitamin C all help to hydrate thirsty skin, returning your complexion back to balanced moisture levels. The Youthful Glow Enzyme Peel is one of the star product in this range. It contains nutrient-rich exfoliating formula of Pumpkin Pulp, Papaya, and Pineapple, This peel is designed to penetrate the skin and refine the appearance of pores. Skin will be refreshed, brigher, more even and youthful withr regular use. Youthful Glow Milk Cleanser is another star product and this gentle and non-drying cleanser uses a blend of refreshing and soothing ingredients such as Chamomile, Lavender and Arnica. This effective cleansing lotion leaves skin feeling nourished and revitalised, while offering a lasting fresh and dewy glow. 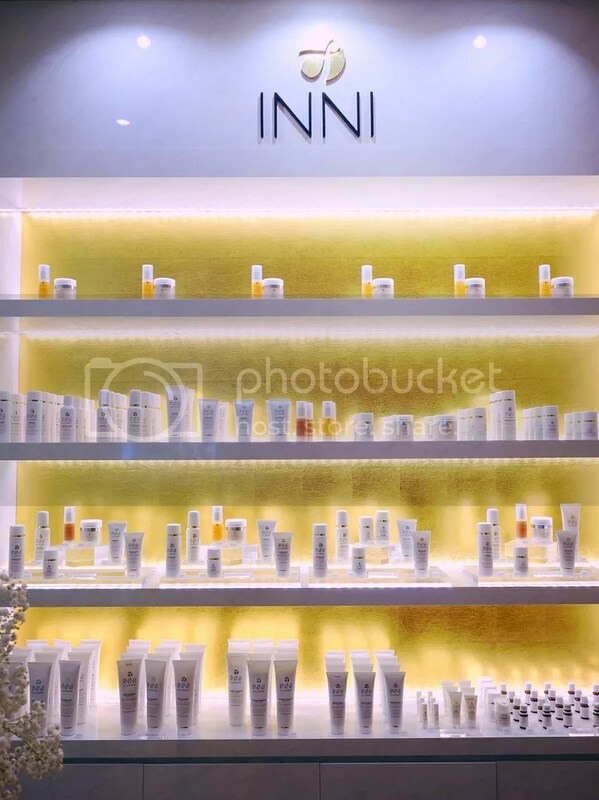 Next, for people who wish to brighten and lighten your skin, INNI Whitening Range is curated to provide a complete skin care solution to brighten and lighten all skin tones. The use of powerful ingredients such as St John’s Wart, Kelp and Papaya all work in unison to achieve dramatic results. The best-selling product from this range has to be the Illuminating Whitening which contains unique, intensive formula of vitamins and minerals extracted from Kelp, Grapefruit and Kelyzyme clay. This high-performing mask leaves skin feeling light and looking bright. 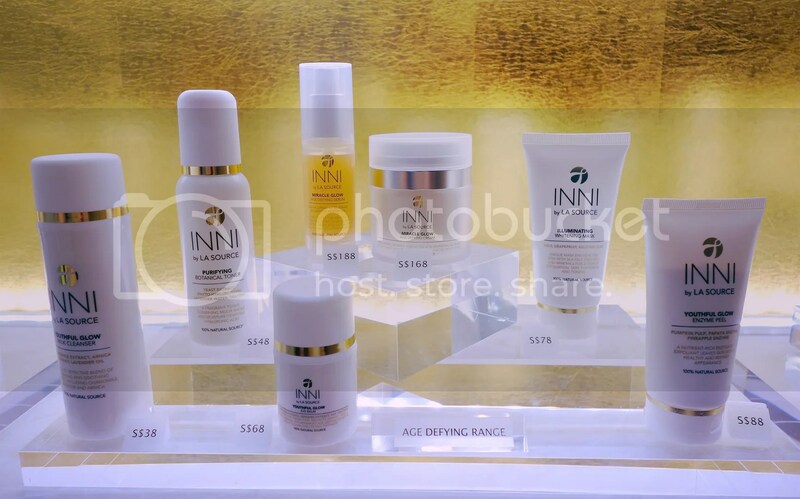 INNI Age Defying Range is designed specifically to rewind time. Potent ingredients such as CoEnzyme Q10, Horsetail plant extract and Vitamin C work in unison to reverse visible signs of aging as well as reduce fine lines and wrinkles. 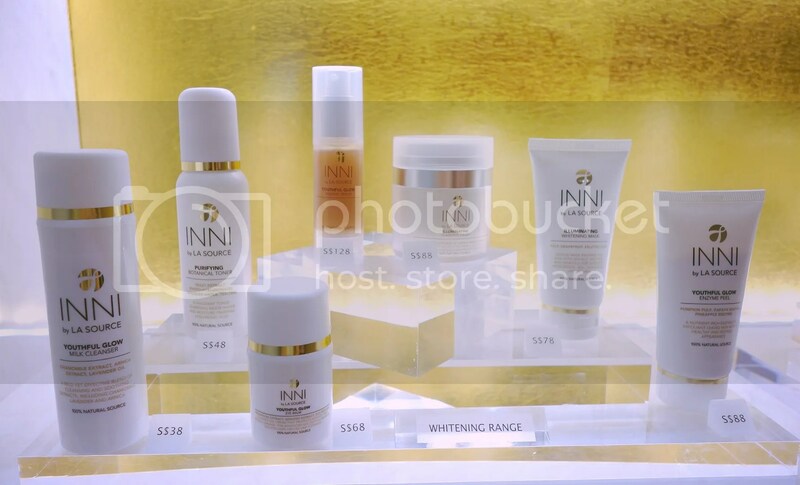 INNI Whitening Range’s must check out products are the Miracle Glow Age Defying Serum and Miracle Glow Age Defying Cream. Miracle Glow Age Defying Serum is a concentrated serum that incorporates the renowned age defying effects of Palmitoyl Tripeptide, DMAE and Alpha Lipoic Acid. The serum helps to lift dullness, highlighting the skin’s natural glow while minimising the look of fine lines and wrinkles. It is best to apply daily before moisturising. Miracle Glow Age Defying Cream is a multi-action, all-in-one cream that contains CoEnzyme Q10, Horsetail plant extract and Hyaluronic spheres that work hard to combat signs of aging. When added to your daily skincare routine, this rich, nourishing cream works hard to lift dullness, replenish skin’s moisture and minimize the look of fine lines and wrinkles. 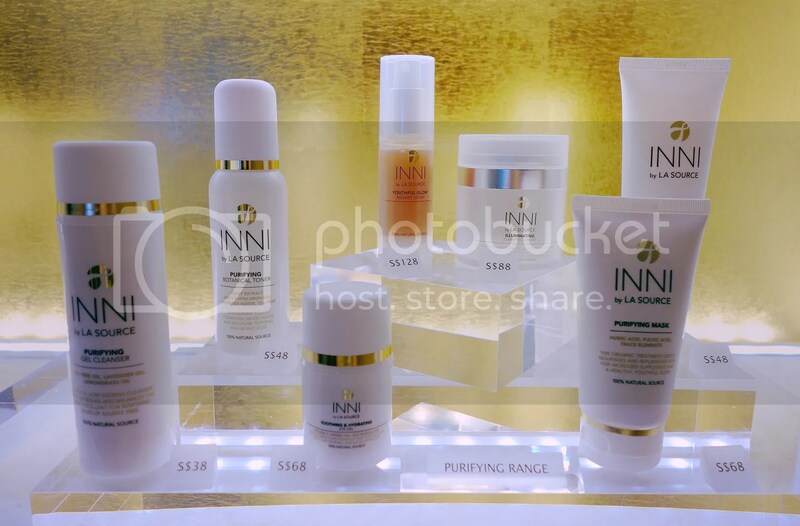 The INNI Specialty Range is created to target specific skin concerns, offering solutions that are suitable for all skin types. These mousse, gels, make-up removers and balms are perfect for daily use or when skin is in need of healing. 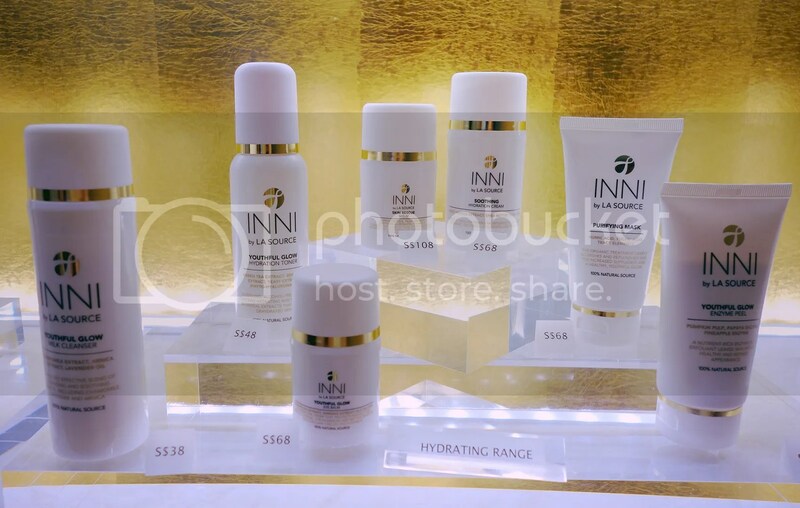 INNI Blends Range is formulated to provide a range of solutions in everyday health and skincare. Each solution helps to cure both short and long-term ailments. Some of the best-selling blends include the Health Blood Circulation, Breathe Respiratory, Balance Dermal, Sleep Relaxation and Calm Peace of Mind. 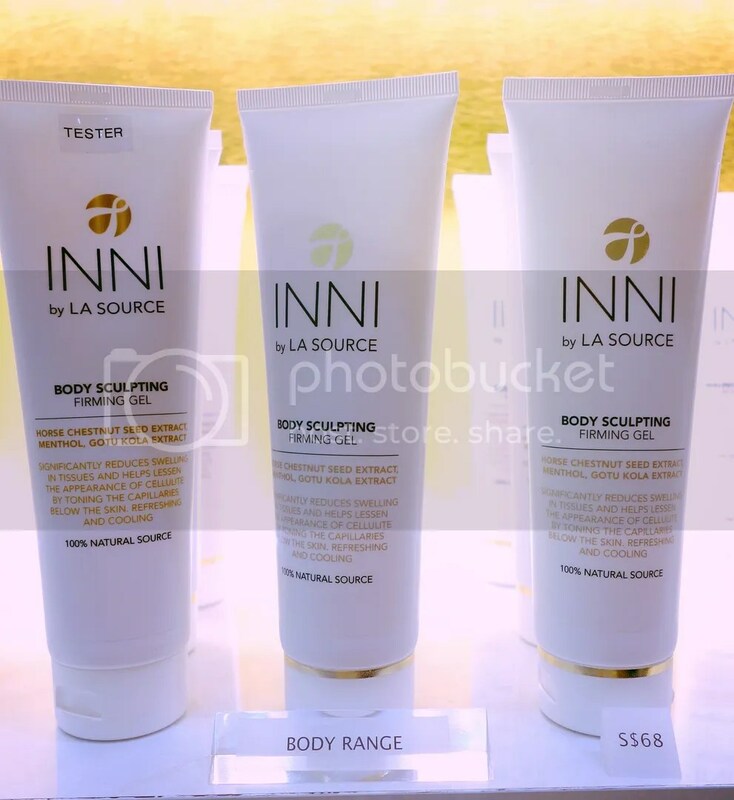 The INNI Body Range offers a comprehensive selection of fresh and healing body products. 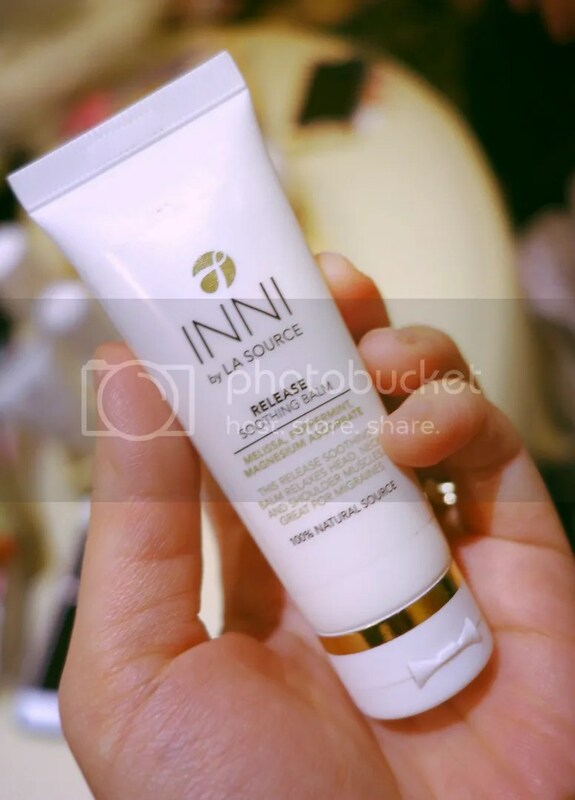 Using only 100% natural ingredients, INNI harness the power of Mother Nature to achieve soft and supple skin. I love the Release Soothing Balm from the body range as this soothing tension balm relaxes head, neck and shoulder muscles and is a nifty cure for migraines. With Peppermint, Melissa and Magnesium Ascorbate, the balm instantly relaxes and soothes, providing instant calming relief. To showcase the efficacy of the products, the founder of La Source Spa has personally curated six indulgent facial rituals for women and men. The signature Age Defying Facial combats wrinkles by providing deep hydration to the skin while rebuilding collagen and elastin fibres. The luxurious experience starts with a deep cleanse and peel to prepare the skin before a lifting facial massage works to relax tired facial muscles and tone the skin. Other hardworking treatments include the Purifying Facial, Brightening Facial, Rebalancing Facial, Red Carpet Facial and the Gentlemen’s Facial as well as a series of pampering INNI body treatments such as the signature La Source Deep Tissue Massage that is restorative and helps with anti-aging. Do give this local luxury skincare brand a try as it is priced very competitively. Before i go, i would like to share some festive cheer whereby you can bring that bit of INNI-Beauty magic to you and your loved ones. With the holiday season approaching, there is no better way to spread the festive cheer than to celebrate with the gift of clear, beautiful skin. 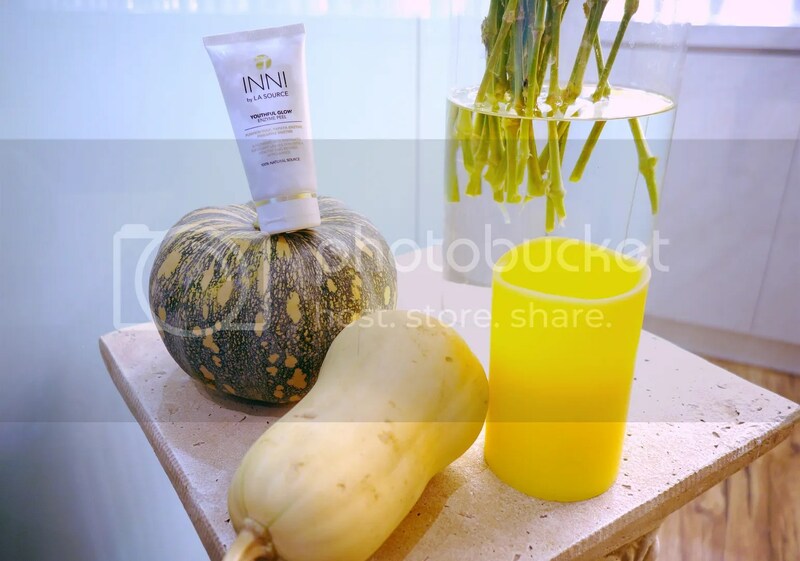 Pamper your loved one with the gift of youthful skin with two of INNI’s top-selling hero products. It includes the hardworking Miracle Glow Age-Defying Serum and Miracle Glow Age-Defying Cream. Paired together, this is a dynamic duo that will ensure radiant, youthful skin — perfect for the party season. Indulge that special someone with the Age-Defying Skincare Gift Set. This ultimate package has been specially put together for those looking for comprehensive skincare and results and has been designed specifically to rewind time. Start your regime with the Youthful Glow Enzyme Peel before applying the signature Miracle Glow Age-Defying Cream for deep hydration and Youthful Glow Eye Balm to help brighten those dark rings. The Illuminating Whitening Mask will help you achieve clearer and smoother skin. 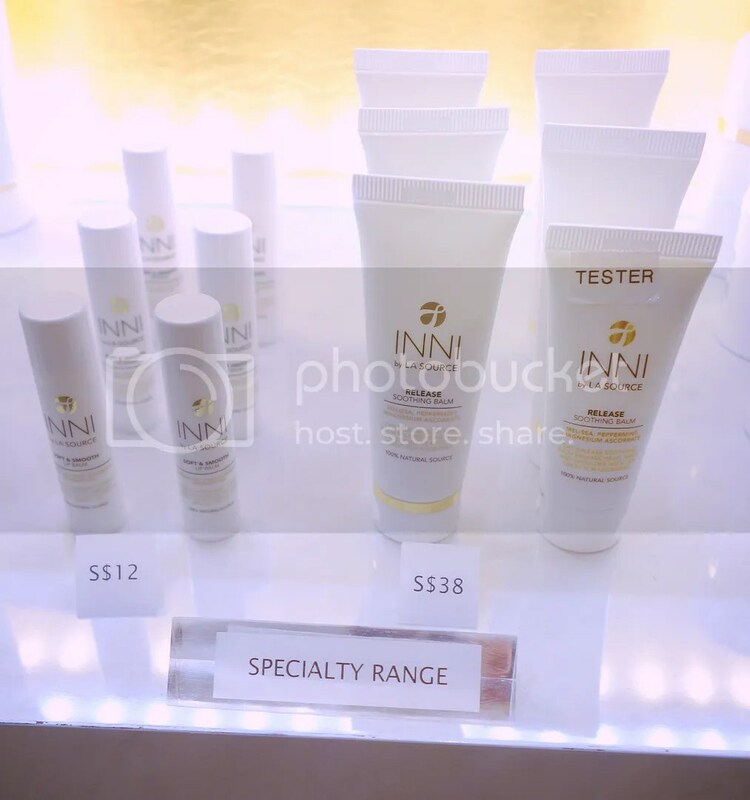 INNI products and treatments are available exclusively at La Source Spa, #01-03/04, 15 Scotts Road, Thong Teck Building (Tel: 6732-1318). 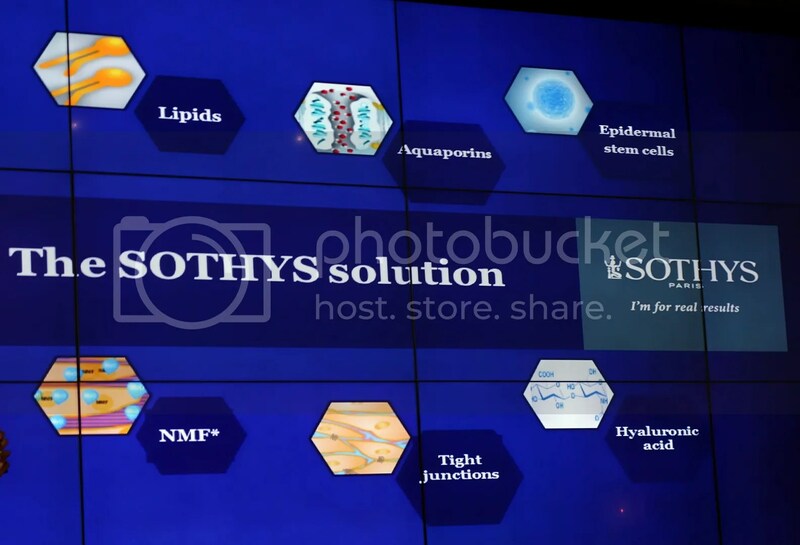 Hello everyone, i’m back with an update on the Sothys 3D Hydrating launch event that i’ve attended one month ago. 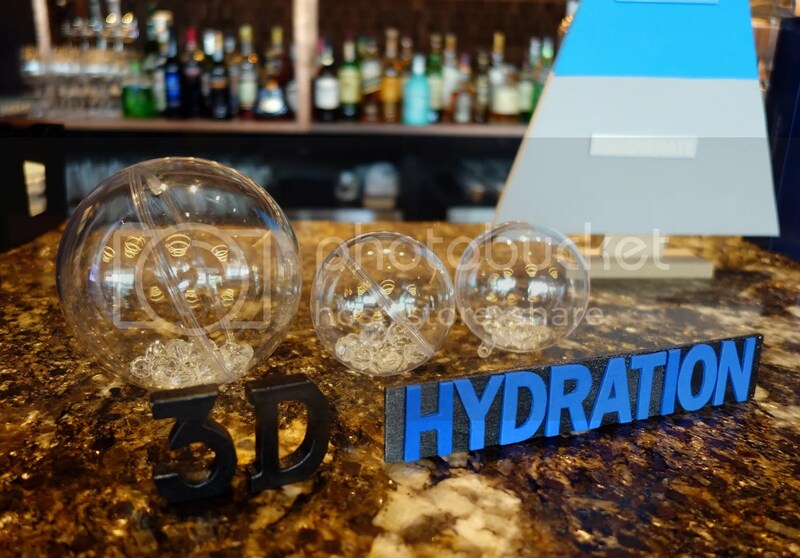 What’s the importance of hydration you might ask? Dehydrated skin is actually the root cause of all your skin related concerns like aging and sensitive skin. If you have oily / sensitive skin, you will need to keep your skin well moisturized so that it won’t give the brain the signal to produce more oil to protect it which will in turn leads to breakout. When skin lacks moisture, it will turn dry and cause irritation (Hence the sensitive skin). If you have normal skin type, it is important to maintain the healthiness of skin types with moisture. If you have dry skin, you will need intensive moisture to restore suppleness and prevent premature aging. For myself and many others, we spent long hours in air-conditioned environment hence we cannot run away from dry and dehydrated skin problems. As mentioned earlier, a lot of skin issues surfaced due to skin being too dry so the undeniable truth is that hydration is important for all skin types! 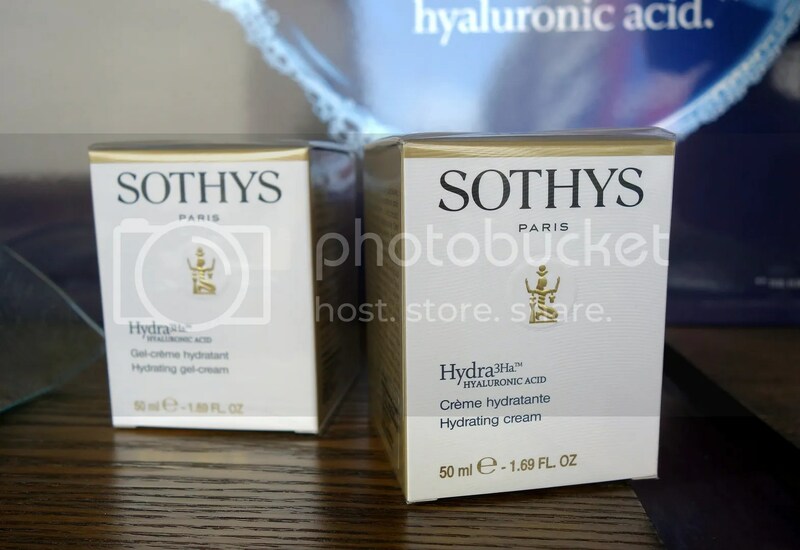 As such, Sothys Advanced Research Team has developed a 3-dimensional hydrating solution (Hydra 3HA) to restore hydration for a long-lasting beauty. This high performance hydrating solution to RESTORE, REGENERATE, REACTIVATE your skin for plump and smooth complexion. Well-moisturized skin appears visibly younger and stands up better to the test of time. 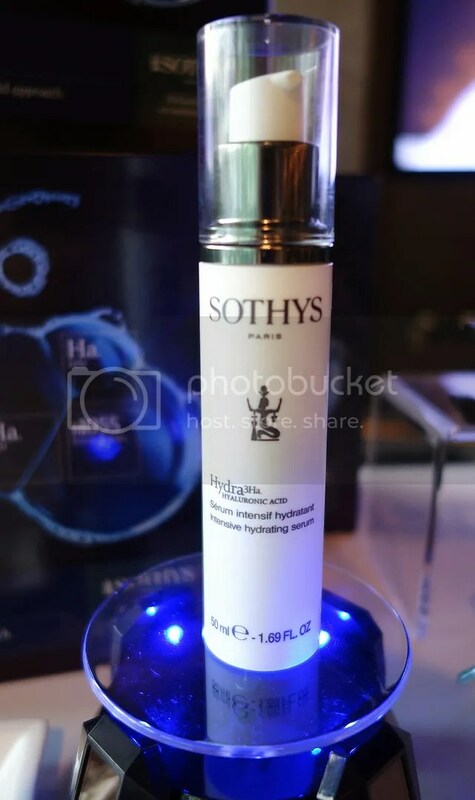 Driven by the latest advanced research discoveries on its exclusive ingredient, 1055 boletus extract, Sothys is now reinventing its hydration programme with a triple hyaluronic acid. This new programme is a concentration of efficiency at the cutting edge of innovation, including an Intensive treatment and home care products! 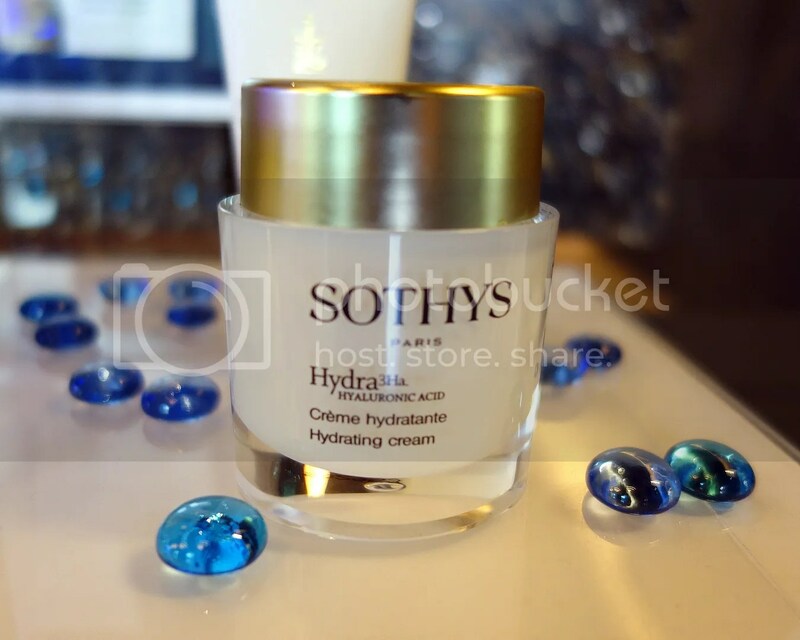 In the nutshell, SOTHYS Hydra 3HA will restore, reactivate and regenerate your skin for 8 continuous hours! Now you can preserved your skin’s radiance and youthfulness daily at the comfort of your home. 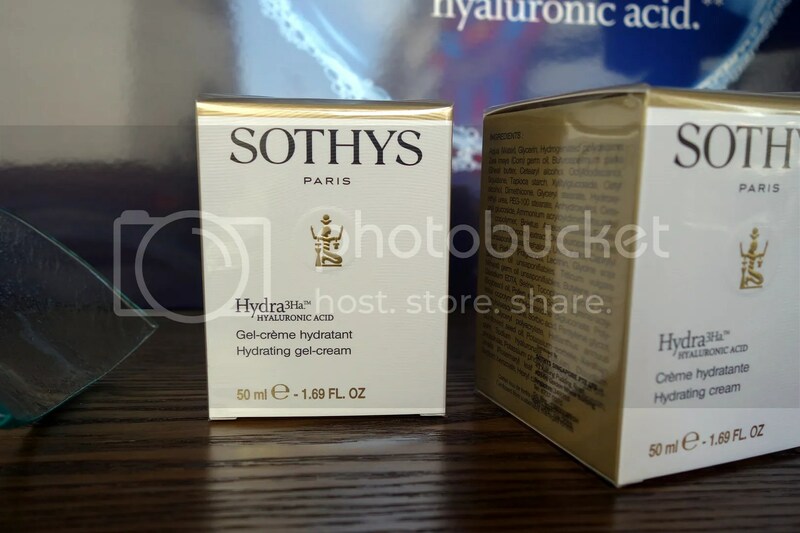 Sothys is a professional skincare line from France. Being in the market for more than 60 years, Sothys has grown to become a luxury beauty brand with presence in 110 countries. Sothys’ emphasis is on Innovation, Quality and Efficacy and it invests heavily in research and development in new technology and training. 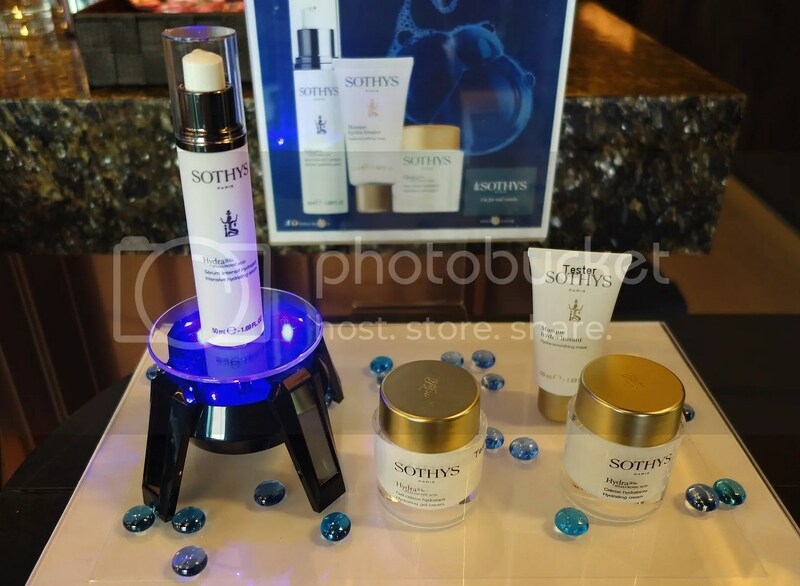 Sothys products have also won various awards such as beauty brand of the year by Harpers Bazaar and Simply Her. 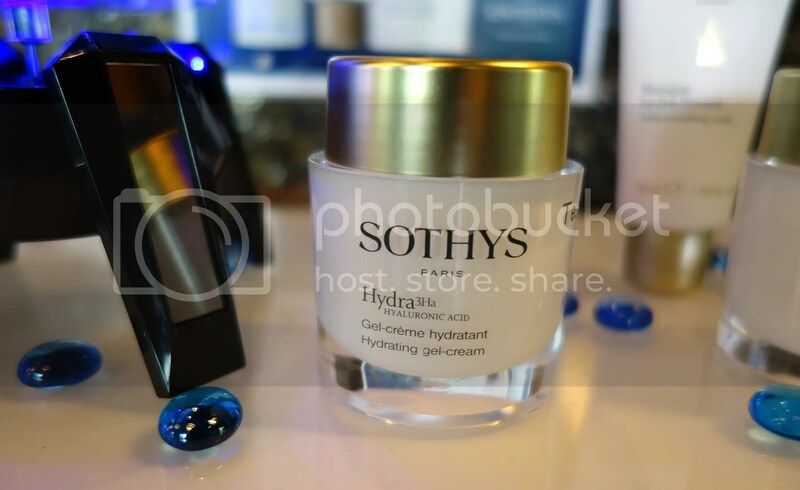 Sothys Hydra 3HA , being the latest innovation will let skin stay adequately hydrated for plump and smooth complexion with radiant glow. iii) Protect the skin against moisture loss. Ha.bPM – Ha. bPM + Restructing active ingredients will lastingly regenerate the epidermis. 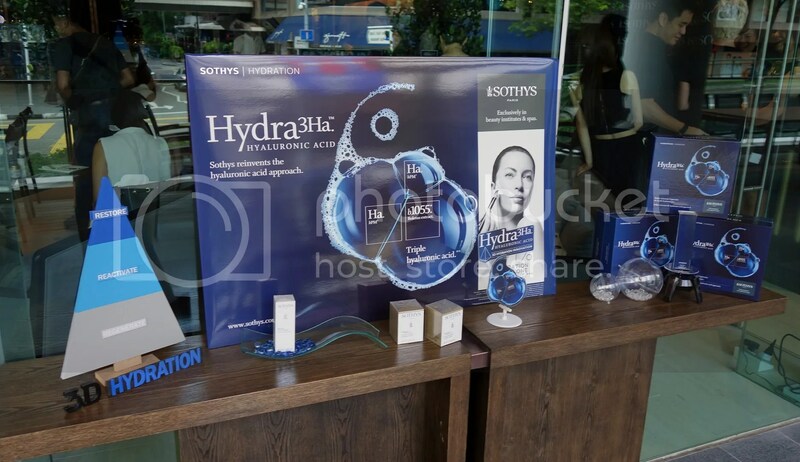 SOTHYS Hydra3Ha™ Programme comprises of a range of home care products and treatment. The home care line consists of 3 products: Hydra3Ha™ Intensive Hydrating Serum , Hydra3Ha™ Hydrating Gel-Cream / Cream and Hydra-smoothing Mask. 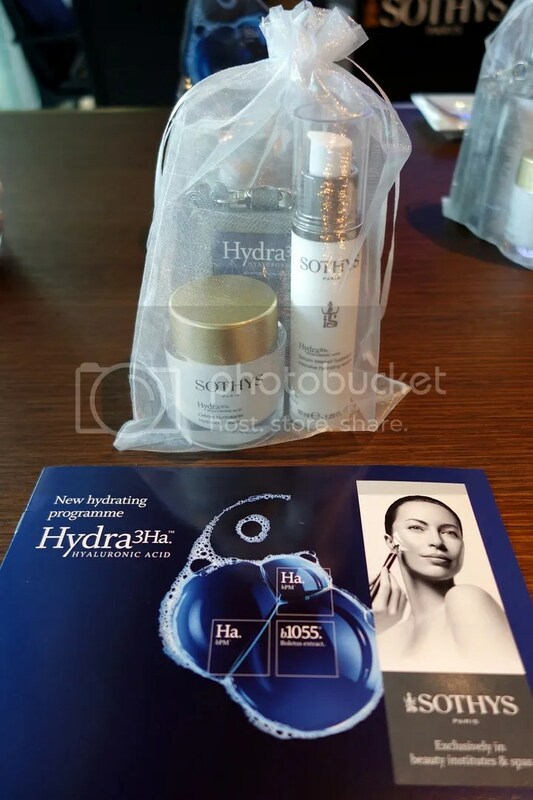 SOTHYS Hydra3Ha™ Programme also consists of a Hydra3Ha Hyaluronic Acid Intensive Treatment which supply skin with 1 hr 15 mins of continuous hydration. 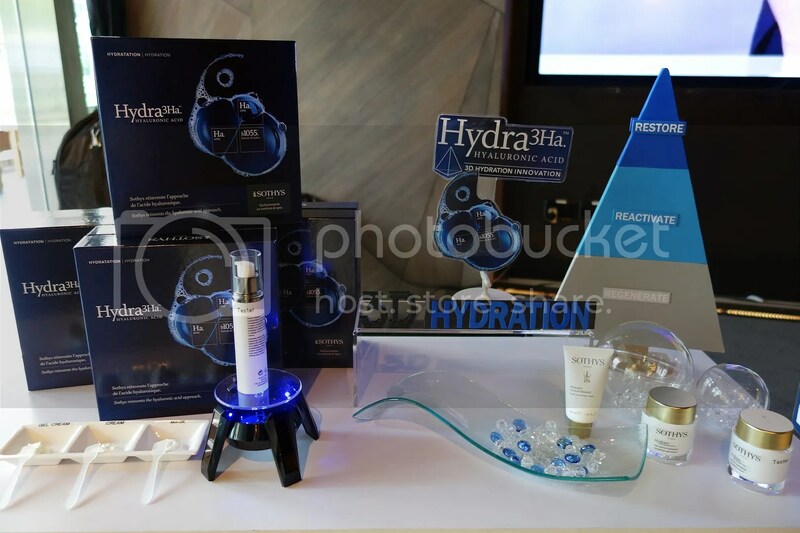 This luxury treatment was specially designed to meet the hydration needs of all types of skin, with a special six-phase protocol, exclusive Digi-esthetique modelling techniques and the latest generation of hydrating active ingredients. Instant results will be shown after 1 treatment (up to 71% hydration). 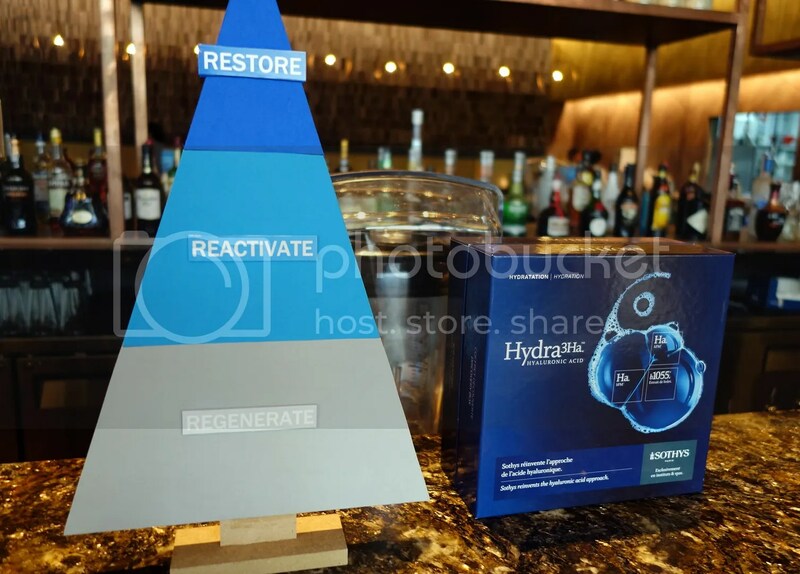 Hydra3Ha™ Intensive Hydrating Serum will be the first step to regenerate the skin for lasting hydration. This intensive hydrating serum will have a synergistic action with creams to offer skin with high performance moisturizing solution. Lightweight intensive serum immediately restores skin’s moisture with long-lasting results. Skin is intensely moisturized and feels regenerated. Youth is preserved. Apply morning and/or evening over the entire face and neck area. Follow with skincare cream. 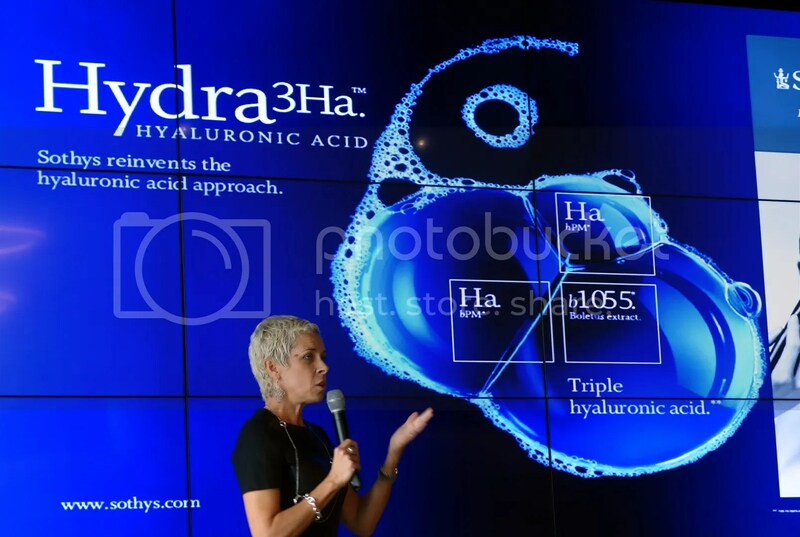 Next, the Hydra3Ha™ Hydrating Cream / Gel-cream will immediately restore moisture and protect skin on a daily basis. Under the Hydra3Ha programme, there are 2 types of cream with two different texture to immediately moisturise the skin and protect it day after day. Immediately quenches dehydrated skin and provide daily protection. Skin’s radiance and youthfulness are preserved daily. 2 textures to meet the sensorial needs of different skin preference. Apply morning and/or evening over the entire face and neck area after the Intensive hydrating serum. 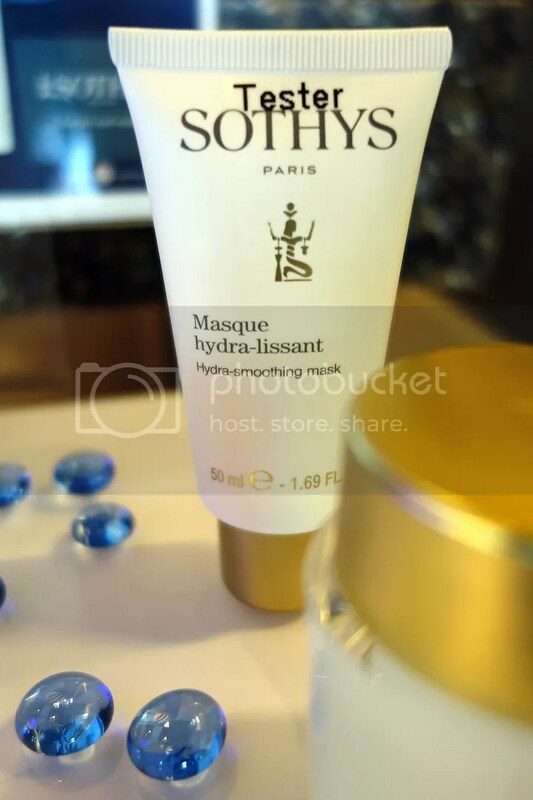 On a weekly basis, the Hydra-smoothing Mask will enhance skin’s hydration, texture and rejuvenation. The mask will immediately hydrates and envelops the skin in softness. It also restores skin’s elasticity so skin appear smoother and visibly younger after use. Apply thick layer on entire face & neck for 10 – 15 minutes, then rinse off. Use once or twice per week. 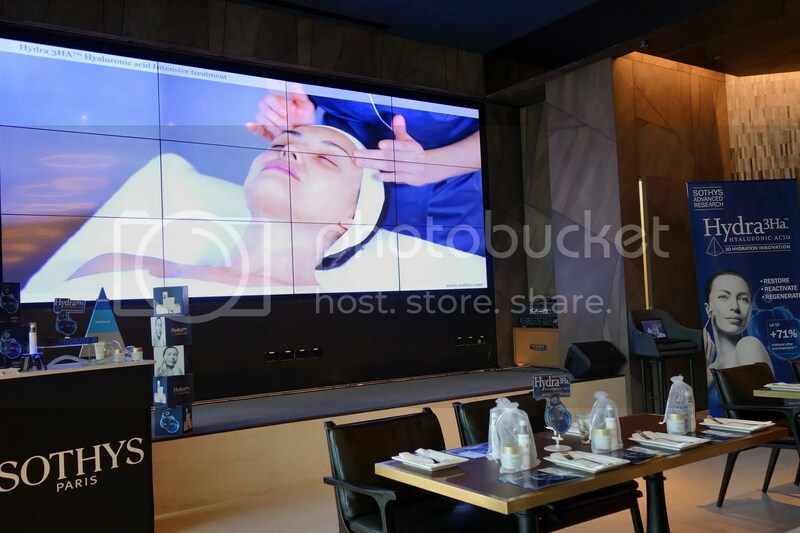 Meanwhile, here’s some photos which i have taken at the launch event and enjoy them before i go into details with my review of the serum. My Caricature by Ye Ruoshi. 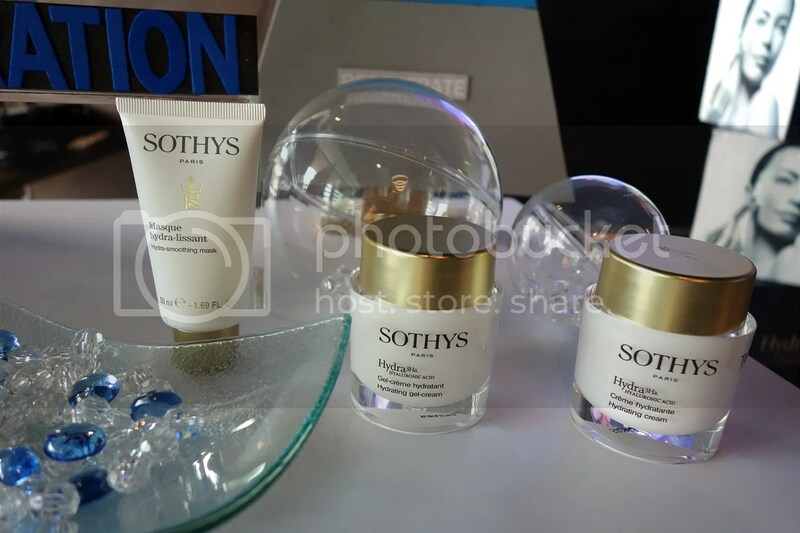 * Disclaimer: Products Description & information are extracted from Sothys’s presskit and website.